On this Memorial Day weekend, we send our sincere gratitude to all those that have given the ultimate sacrifice for this great nation. Their unselfish acts have allowed us to continue to enjoy the freedoms that our country was founded upon. However, it is not only the heroic men and women of our military that has sacrificed, but also their canine counterparts who performed their duties with loyalty and honor. The dogs mourn the loss of their handler and their handlers mourn the loss of them. 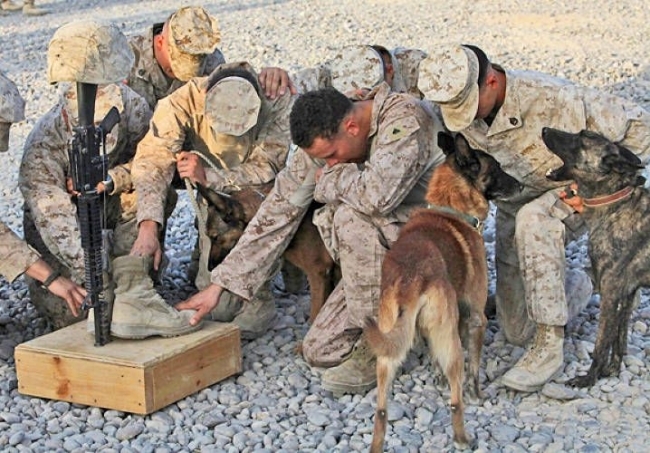 They have a special bond; many dogs will act depressed and will often reject a new handler during this mourning period. For those military pups lost in combat, the squad will turn their feeding dishes upside down, hang up their leashes, and leave the kennel door open to symbolize their loss. 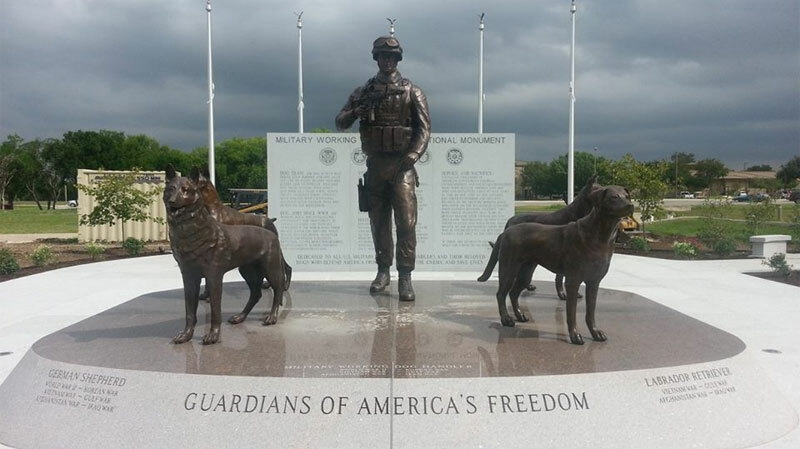 The poem Guardians of the Night will also be read to honor them for their sacrifice.